We had a very successfull and rewarding open day last Saturday (June 8th) here at the clinic with a great turn out of people. On offer were free spinal and posture checks from Octagon Chiropractors Hazel Dillon and Rachel Hodson and lower limb and gait assesements from Octagon friend, and Lille Road Active Life Podiatrist, John Durkin. For some John suggested getting their foot x-ray-ed for others dry needling and others the possible need for orthotics. Some claimed to have perfect feet! Following the checks everyone enjoyed the delicious carrot cake with cream cheese icing and healthy seed topped flapjacks from our favorite local bakery Upsy Daisy. Additionally we raised £45.00 from voluntary donations for Octagon chosen charity Indigo Touch. The Indigo Touch is a children's charity which offers holistic healthcare for children with special needs, as well as offering treatment to groups of children affected by the Chernobyl nuclear disaster. Overall we had a great, informative and rejuvenating day and are extremley grateful to John Durkin for joining us at the Octagon. 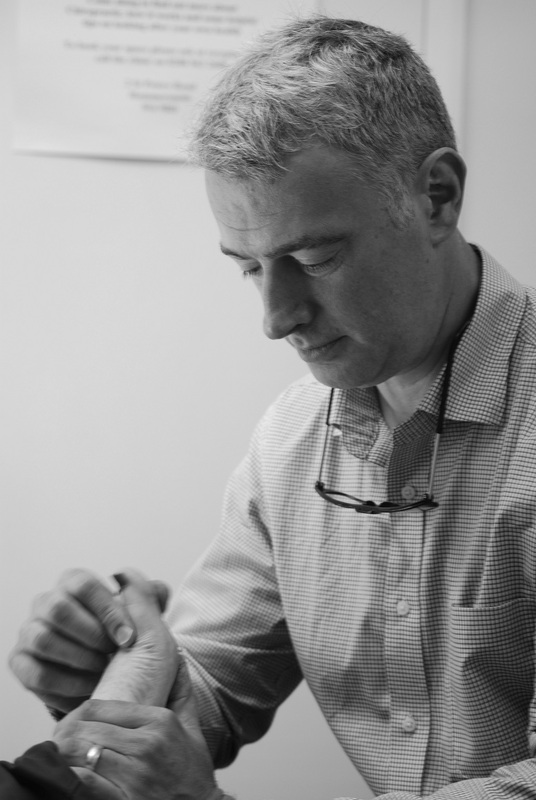 If your feet are in need of some TLC then call John's clinic on 0207 381 6682. If you'd like to check to see if Chiropractic is right for you call the Octagon clinic 020 8563 2608 for a free consultation and spinal assesment.